Last year, we had reported that SMS is dying a slow death in India, as collectively, we are sending only 2 SMSes per day, down from 9 per day in 2009. In the year 2013, telecom companies incurred losses worth $1.2 billion due to less usage of SMSes, which will expand to $1.56 billion this year, and $3.1 billion in 2016. Instant messengers such as WhatsApp and Snapchat have literally killed a booming income source for telecom companies. But, the market still demands that SMSes be alive, and when there is a demand, the market automatically provides the supply as well. Now, when these 300 million Indians who are without any mobile phone, will buy one, then text messages (SMS) will be the primary source of communication for them, besides voice. And considering that only 30% of all phones sold in India are smartphones with Internet access, it becomes imperative that text messages becomes the main non-voice mode of communication in those areas where Internet will take some time to enter. A silent social revolution is taking place in India, with the help and assistance of text based messages. Along with voice and SMS based services, social entrepreneurs are performing miracles. Environmental group Nature Conservation Foundation (NCF) has come up with a SMS alert service, which helps villagers in Valparai, Tamil Nadu to save their lives from elephants. The idea came up after it was realized that 36 out of 41 deaths caused by elephants in the tea-gardens could have been saved if the villagers had received an alert of the incoming herd of elephants. And it worked. With a single click, 1500+ villagers are informed about the elephants movements, and thus precious lives are saved. Keonjhar District in Northern Orissa is a area with 70% tribal population. Nestled deep in the forests, most of the tribal women were not even aware of the government policies and schemes which has been created to assist them. Women’s Association of Socio-Cultural Awareness (WOSCA) understood the problem, and devised a strategy using SMSes to spread awareness. Their awareness initiatives have resulted in large number of tribal families receiving government assistance, without any trouble. Right information, at the right time can bring in a huge change. All thanks to SMS service. Kisan Sanchar, a huge network of 35,000+ farmers in Haryana are gradually inducing a social revolution by informing and updating the farmers about the health hazards of using unapproved fertilizers and pesticides in their crops. They are using SMS and Voice based broadcasting services to bring to create mass level awareness. EduVarta is a social startup which used SMS based text alerts to notify unemployed youth in rural areas to get updated information about career options and opportunities. Considering that Internet is still far away from these deep rural pockets, information is biggest drawback. And, EduVarta fills the gap in an amazing way. More than 30,000 have subscribed to their SMS based alerts, and they have a reach of more than 1,20,000 people, only using SMS. The biggest challenge which telecom companies are facing right now, is supporting regional languages. Although Google has realized the importance of regional languages in India, and have introduced native Hindi support for Android phones, a platform to access regional content on the Internet, Google Maps in Hindi, and even a translation keyboard, rural India is still left behind in the adaption, as these Google initiatives are mainly targeting those with smartphones. If we observe only SMS based services initiated by the Government, then the recent launch of SMS news service in 5 regional languages by Information and Broadcasting Ministry is indeed commendable. Indian Rail also allows to book train tickets using SMS, although there is a requirement for Internet so making the payment. Support for regional languages by feature phone manufacturers, regional SMS based plans for rural areas and an active contribution by Government to provide subsidized SMS rates and plans can do wonders for the rural population in India, who are still left behind in the race of technology. 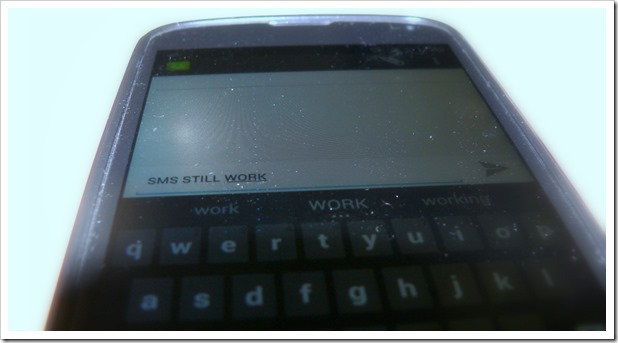 We hope that SMSes makes a grand comeback, and helps to create a social revolution benefitting all. "4 Case Studies Where SMSes Are Bringing A Social Revolution in Rural India", 5 out of 5 based on 1 ratings. Want to convert your feature phone into a smartphone? use Shorthand browser!